I treasure this thank you card from Keele Poets at Silverdale because if sharing poetry isn’t wandering through doors into the magic spaces of each other’s imaginations, then I don’t know what is. I started tutoring the talented and enthusiastic, Keele Poets at Silverdale at Keele University in 2009 before the adult education programme closed. Now we meet every Thursday morning from late September-March for workshops at Silverdale Library. We have a lot of fun getting involved in projects (see Gallery). Please get in touch if you are interested in joining us as we do have vacancies from time to time. Over a decade ago when I needed a change from writing non-fiction, I attended Karen Wheatley’s inspiring creative writing classes at Sir John Deane’s College. Thank you Karen! 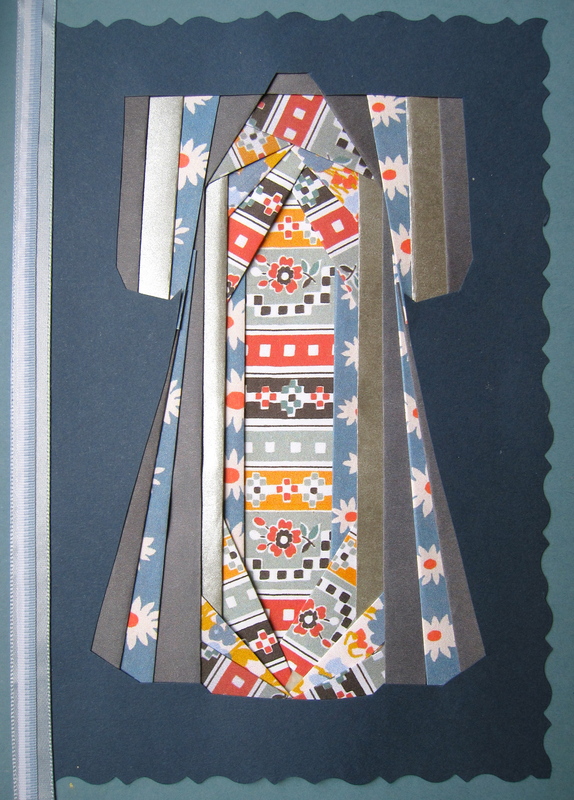 Another thank you card: the homemade ‘robes of paper’ have been woven as carefully as words in a poem.